Former Maldivian President Maumoon Abdul Gayoom has applied for permit to form his new political party, the Maldives Reform Movement (MRM). The application was submitted to the Elections Commission this Sunday morning. Maumoon’s new political party, Maldives Reform Movement, shares the same acronym as the Maumoon Reform Movement – launched following his dismissal from his former party, Progressive Party of Maldives (PPM) in 2017. Maumoon Reform Movement is not an official political party, but a movement established by Maumoon’s family and allies to campaign for his political activities. Close ally to Maumoon, Abdul Aleem confirms MRM filed for permit this Sunday morning. “We will start efforts to find members to the party as soon as the Elections Commission issues its permit,” said Aleem. Maumoon, during his political career, founded two political parties; Dhivehi Rayyithunge Party (DRP) and PPM. 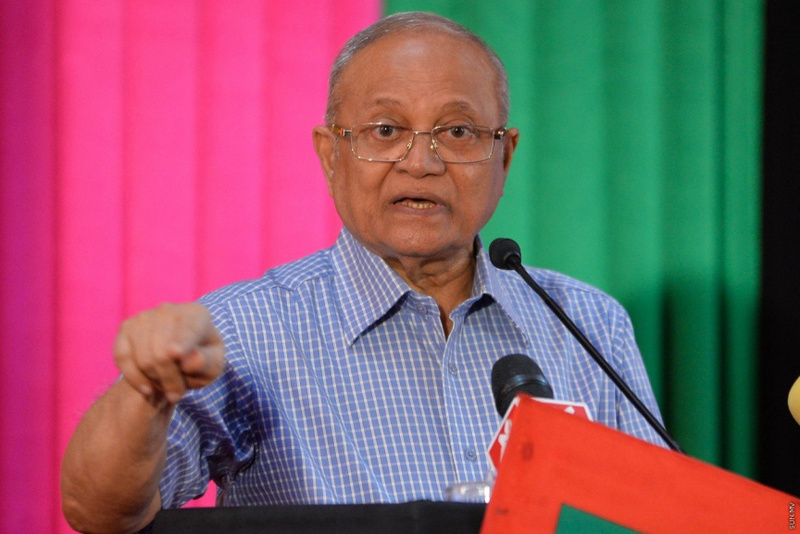 Maumoon left DRP following conflicts within the party, and founded PPM – from which he was kicked out after he began working together with then-opposition politicians. Supreme Court recently endorsed the extraordinary congress held by PPM on September 28, 2018 during which it elected Maumoon’s half-brother, former Maldivian president Abdulla Yameen Abdul Gayoom as its Leader; and dismissed two lawsuits filed by ordinary members of PPM who asked the court to ascertain Maumoon as the party’s legitimate Leader. DRP is currently aligned with Yameen, while Maumoon is aligned with the current MDP administration.